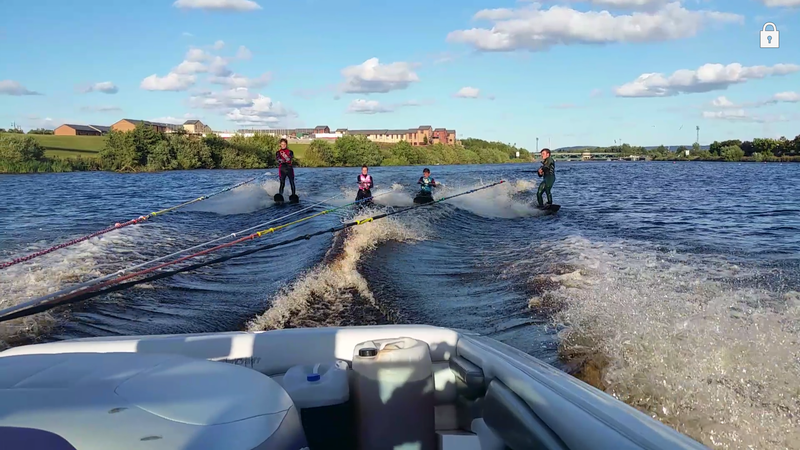 The Inn on the Loch waterside lodge hotel will be hosting a number of events over the coming months including flyboarding opportunities. Please check back regularly for details or send us your email address below to be notified of up-and-coming events. 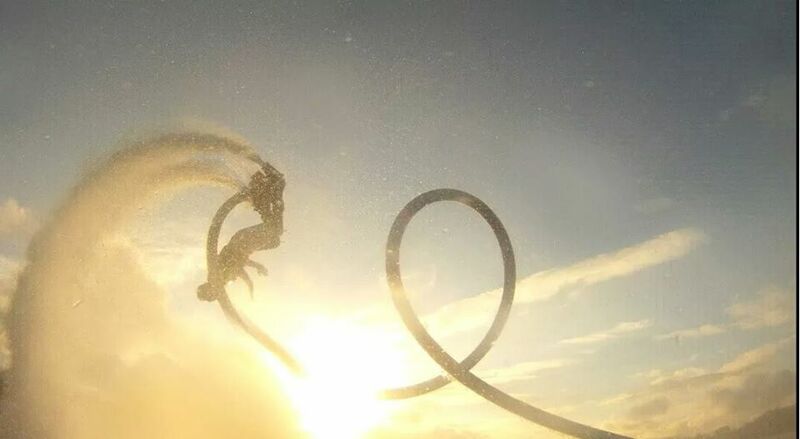 The latest craze on the water, flyboarding (or aquatic aviation) was introduced into the UK in 2012 by Mike Dear who runs WetJets. The FlyBoard is a water powered jet pack that allows propulsion under and above the water. 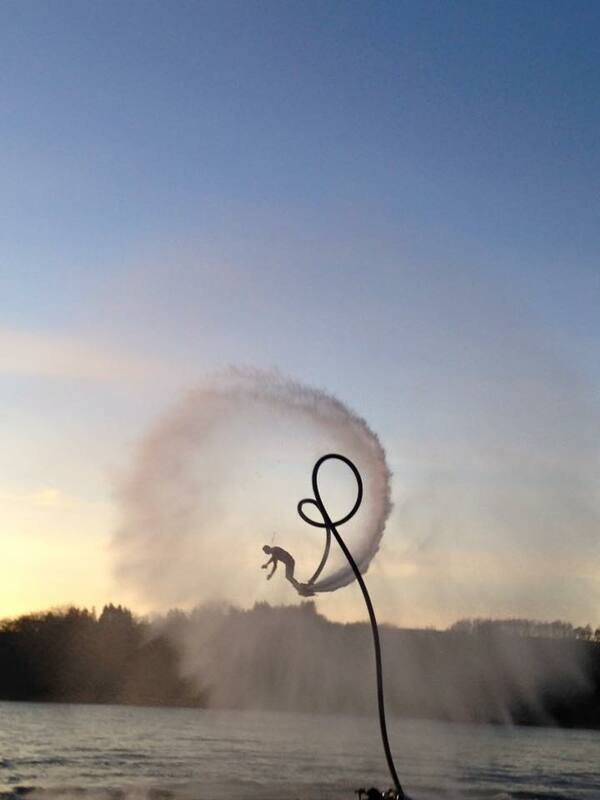 You can try flyboarding yourself at The Inn On The Loch Lodge near Dumfries. With fully qualified and insured instructors, we can promise you'll have a day you'll never forget. 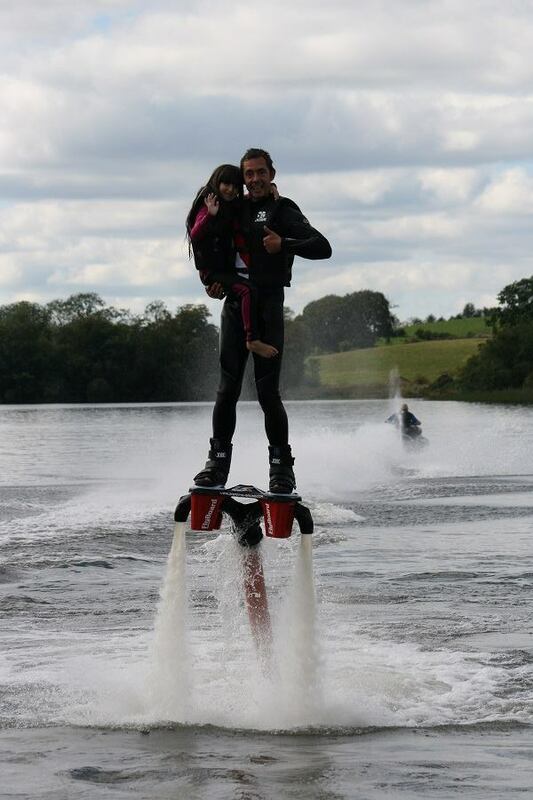 The Inn On The Loch provides a great location for family and friends to join in and share the flyboarding fun. With the bar and restaurant opening up directly to a lakeside veranda, it's the perfect place to set a birthday party, special event, or just enjoy a day on the water. 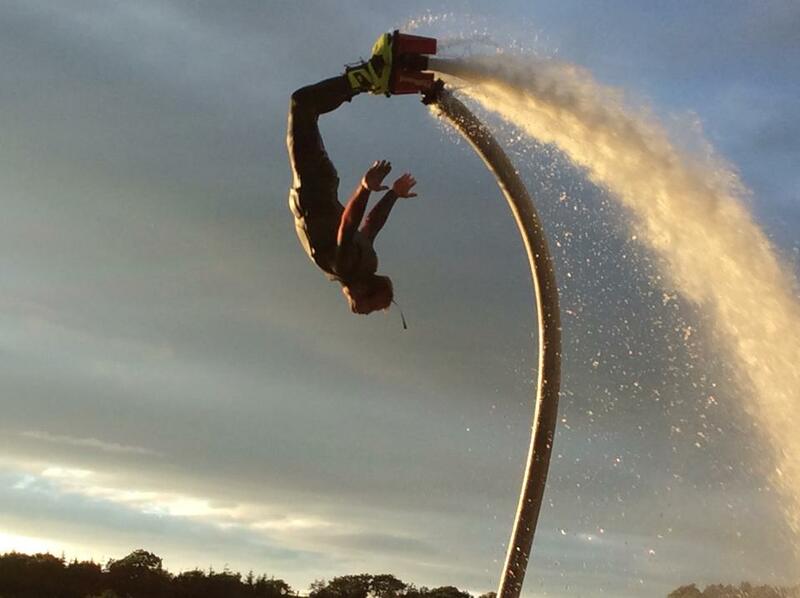 With flyboarding accommodation packages, you can make The Inn On The Loch a destination for your flyboard holiday experience! Call us today on 01556 690281 for an all-inclusive quotation / package deal or email us at info@theinnontheloch.co.uk. 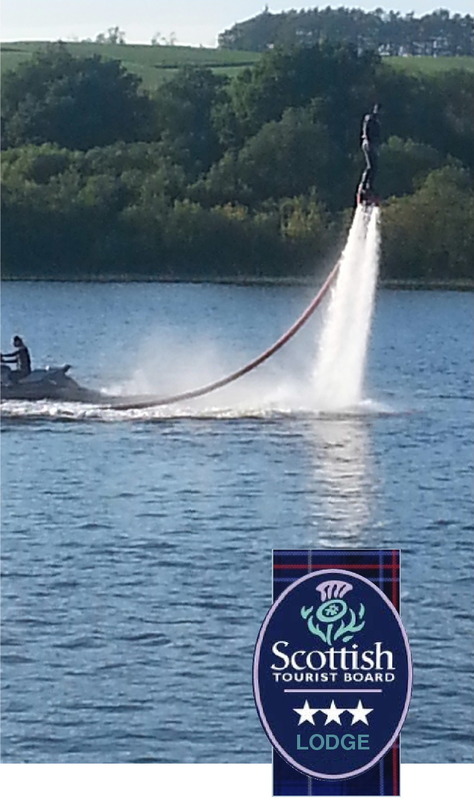 Various images of jet-skiing and flyboarding at The Inn on the Loch near Dumfries. The Wigtown Book Festival is held every year at the end of September, beginning of October in Wigtown, Scotland's National Book Town. The Moffat Rambler's Walking Festival is generally held at the beginning of October. The Wickerman Festival. Live music at its best in July every year. Headline acts in 2015 included The Waterboys, Lulu, Tom Odell and Squeeze. The Dumfries and Lockerbie Agricultural Show takes place at the beginning of August. The Big Burns Supper takes place in Dumfries throughout the last week of January. The Stewartry Show, held on the outskirts of Castle Douglas, usually takes place on the first Thursday in August. Galloway Country Fair, Thornhill, takes place in August.